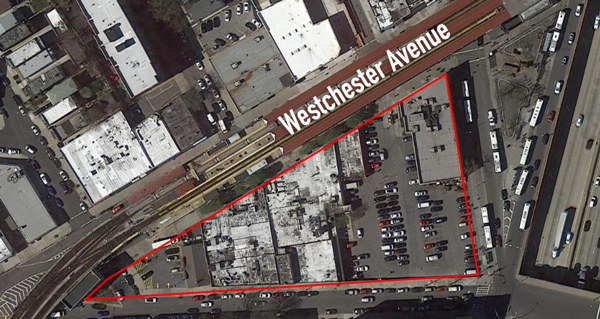 Mark Caller’s Marcal Group filed plans for a 111,324-square-foot commercial building in the Pelham Bay neighborhood of the Bronx, a construction application filed Friday with the city’s Department of Buildings shows. Details in the plans reveal the builders will devote the majority of the space to community health treatment facilities, while the first two floors are marked for unspecified commercial space, likely retail. The 10-story building will rise at 3250 Westchester Avenue, where it would seemingly replace the Pelham Bay Professional Center medical offices that currently occupy the three-lot parcel. That building holds a fair amount of retail, including Dunkin’ Donuts and a CVS pharmacy. New plans call for an increase in parking spots from 90 to 128. Marcal Group and partner Rester USA, a division of Canadian investor Rester Management, acquired the development site in November, paying $33 million. The partners secured a $20.5 million mortgage from Key Bank for the purchase. Abraham Caller, who filed the Bronx plans, did not immediately respond to a request for comment. In May of last year, Mayor Bill de Blasio announced $50 million in renovation funds for Orchard Beach pavilion, a Robert Moses-commissioned public space located in Pelham Bay Park.